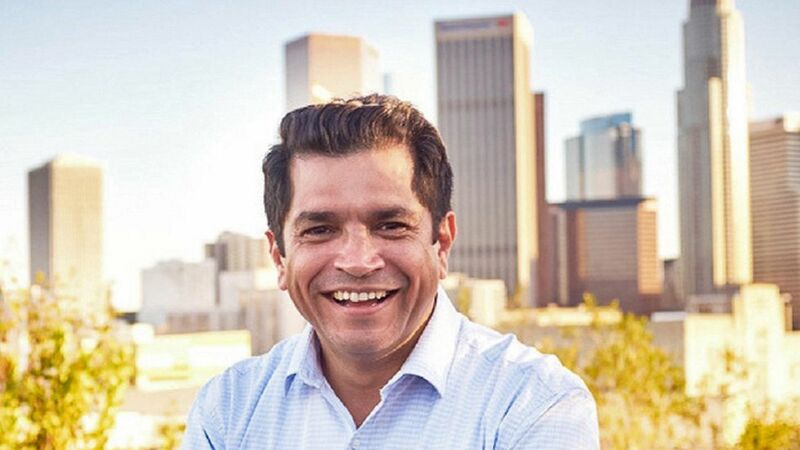 California's newest Congressman Jimmy Gomez has not yet taken his seat in the House, per the Los Angeles Times. He was elected earlier this month in a special election in the state's heavily liberal 34th congressional district. House Majority Leader Kevin McCarthy has sent a letter to House Minority Leader Nancy Pelosi and California's Secretary of State to figure out why. McCarthy's take: Gomez is waiting to be sworn in to keep his seat in the California State Assembly in order to help Governor Jerry Brown get a veto-proof majority on a cap-and-trade bill set to hit the floor before mid-July. Gomez's response: He told Nancy Pelosi he could be sworn in anytime after June 15, barring a family conflict this week. However, given that Congress is about to recess for July 4, the earliest he could now be sworn in is July 10. What if McCarthy was right? At the first session of Congress after every general election of Representatives, the oath of office shall be administered by any Member of the House of Representatives to the Speaker; and by the Speaker to all the Members and Delegates present, and to the Clerk, previous to entering on any other business; and to the Members and Delegates who afterward appear, previous to their taking their seats.